4736 Highway 190 East, Eldorado, Texas. 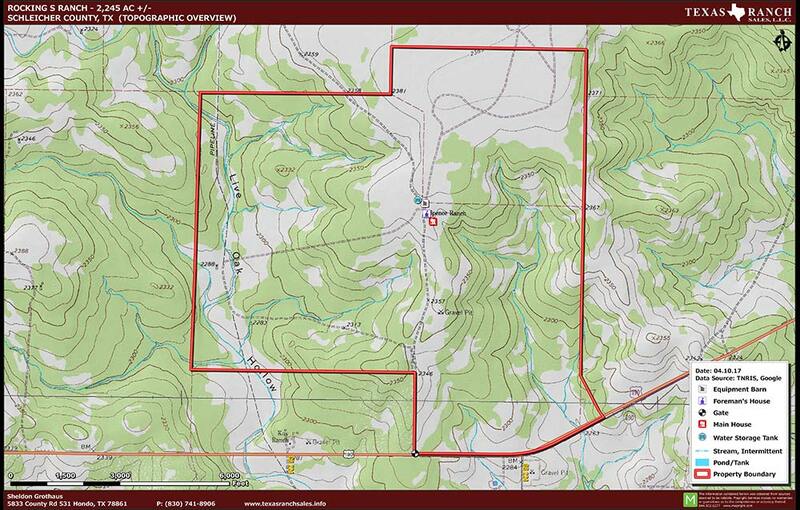 Located 10 miles east of Eldorado, all in Schleicher County. 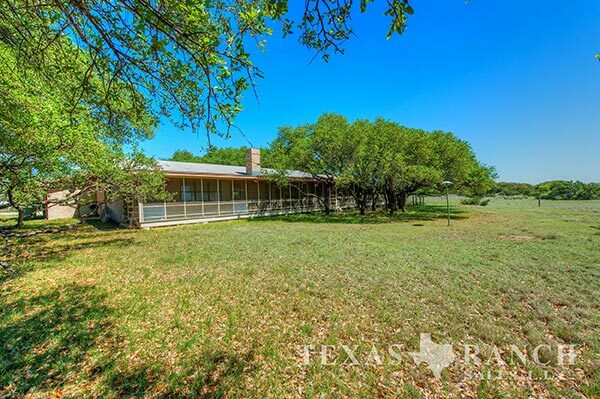 This ranch offers rolling terrain with approximately 50% high protein brush species and 50% improved grass pastures scattered with large live oak trees and many oak mottes. The wet weather Live Oak Draw runs deep water during rains and holds pools of water thereafter. The land supports many species of wildlife along with ideal sustenance for livestock. 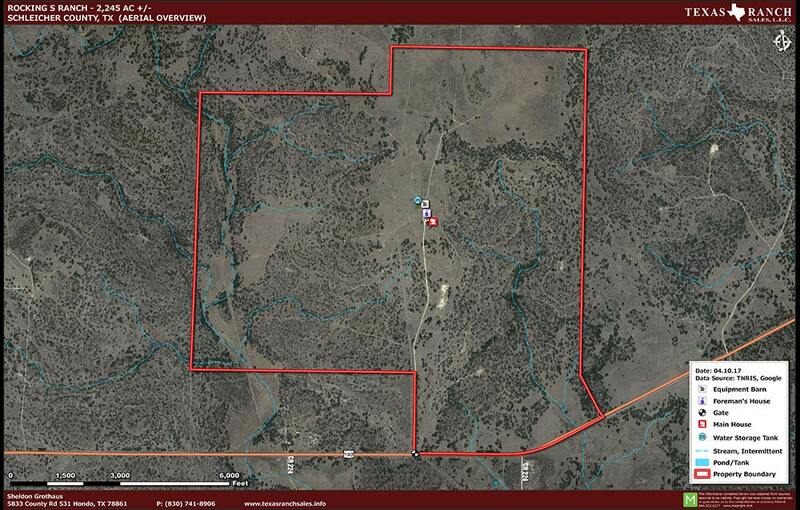 The ranch is blessed with three Edwards water wells; two are windmill and one is electric submersible pump powered. These wells support the two residences, barn pens, twelve water troughs and two large cisterns of 30’ and 60’ diameter. Pools of water in the Live Oak Draw support both wildlife and livestock. The acreage supports abundant numbers of whitetail deer, axis, turkey, quail and dove, along with feral hogs. The owner’s residence is an all brick 2,700+ sq. ft. 3 bedroom, 3 bath home built in 1998. The manager’s residence is an all block and masonry 1,700+ sq. ft. 3 bedroom, 2 bath home located near the barns. The barn area has working pens, chutes and calf table. The older wooden barn houses ranch equipment, vehicles and feed. The newer barn is all metal, insulated, has a bathroom and shower with a workshop and storage for tools. The pens are utilized to work both cattle and goats. There are 6 individually fenced pastures and 3 traps used for holding and rotating livestock. All pastures and traps have underground water lines from the wells to water troughs. The ranch currently carries a herd of 400 goats and 60 head of cattle. The ranch could easily carry over 100 head of cattle in its current condition. Owner will convey all owned minerals, believed to be 10%. 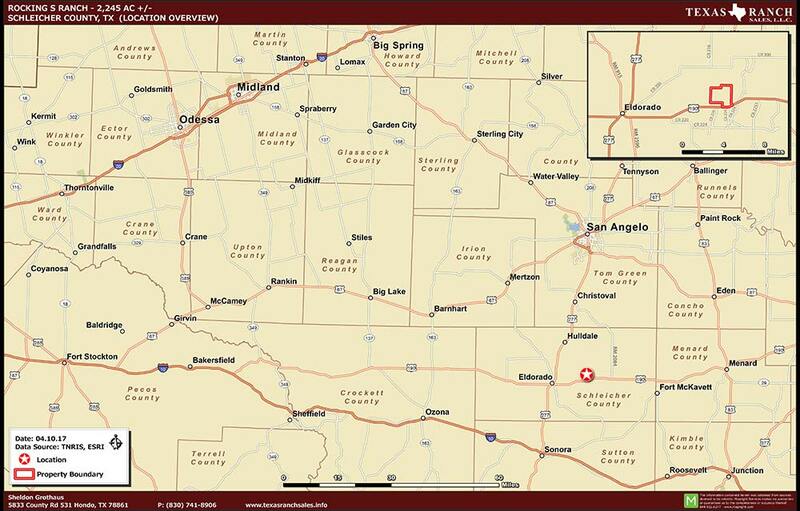 Rocking S Ranch is ideally situated to continue as a cattle, goat and livestock operation, as well as an outstanding hunting ranch. The varied terrain of the north pastures with rocky hillsides and draws to the south pastures of deep fertile soils lends itself to varied agricultural and recreational opportunities. An electric transmission line runs north and south along the western portion of the ranch.